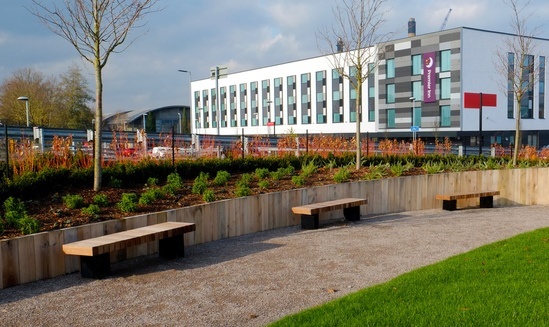 With the continued development of Leigh Road Industrial Estate, funds were raised to help create a small green space in this busy commercial district. 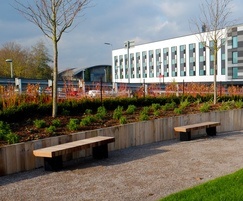 Benchmark Design worked closely with the landscape architect to help design a scheme that achieved the client's ambitions but also came within budget. 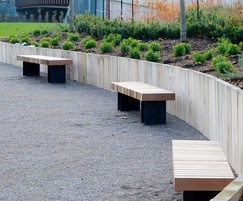 To offset the urban environment they opted for the Exeter seating range which consists of large hardwood timbers in a regular block design with a minimal frame. This gives the bench a natural yet contemporary feel.